What is a Code Signing Certificate & Why is important? 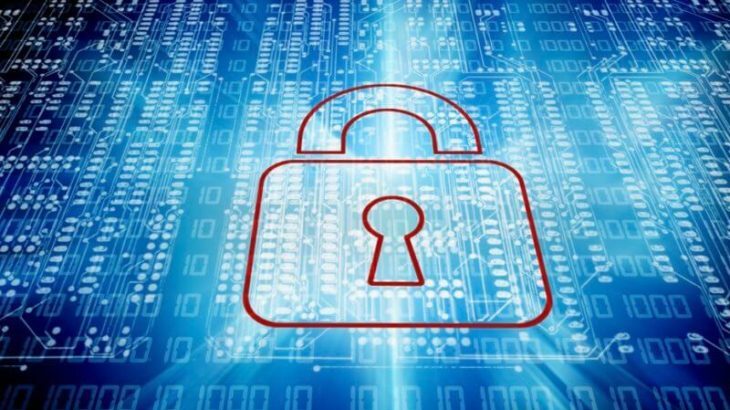 The code signing certificate acts as a digital signature, confirm the software author and guarantee that the code has not been altered or corrupted since it was signed. Eliminate “Unidentified Publisher” warnings. Code signing is widely used to protect software that is distributed over the Internet. Code signing does not alter it; it simply appends a digital signature to the executable code itself. Use digital signatures when you want to distribute data, and you want to assure recipients that it does indeed come from you. This digital signature provides enough information to authenticate the signer as well as to ensure that the code has not been subsequently modified. Microsoft accepts standard code signing and extended validation (EV) code signing certificates from partners enrolled and authorized for Kernel Mode Code Signing as part of the Microsoft Trusted Root Certificate Program. Creates a trusted sales outlet. Creates a trusted distribution outlet. Code Signing Certificates are compatible with all major formats, including Microsoft Authenticode (including kernel-mode signing), Adobe Air, Apple applications and plug-ins, Java, MS Office Macro and VBA, Mozilla object files and Microsoft Silverlight applications. Code Signing certs are trusted by Windows XP and upwards, including Windows 10. Drillsoft have Code Signing Certificate in all its product. Use Windows Explorer to locate the executable file — “Setup_HDX.exe”, “HydraulX.exe”. Right-click on the file to display the file’s pop-up “context” menu. Then selecting the “Properties” menu item at the bottom of the context menu. Digitally signed executable files have a “Digital Signatures” tab. 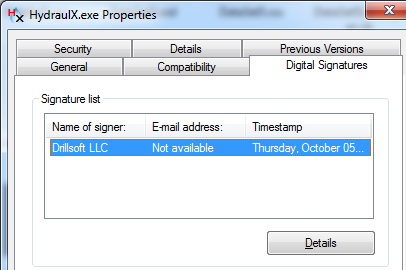 The top of the Digital Signature Details dialog verifies the condition of the chosen signature on the executable. Digital Signatures allow you to quickly determine and confirm the authorship of any digitally signed file, and simultaneously verify that the file has not been altered or tampered with in any way.